With this durable gear and tech, you will be prepared for anything. Product innovation continues in outdoor equipment. There's a simple reason why the sports and recreational product industry is booming -- new stuff is getting cooler and cooler. At the second-annual New York City-based Get Outdoors event, brands from durable workwear brand Carhartt to Cobra Electronics showed off their newest products that will soon make their way into retailers. In March, The NPD Group reported that climbing industry products grew sales in 2016 by $52.9 million since 2014, reaching a four-year high of $175.5 million. The global information company predicted that in 2017, those sales will increase another 13%. 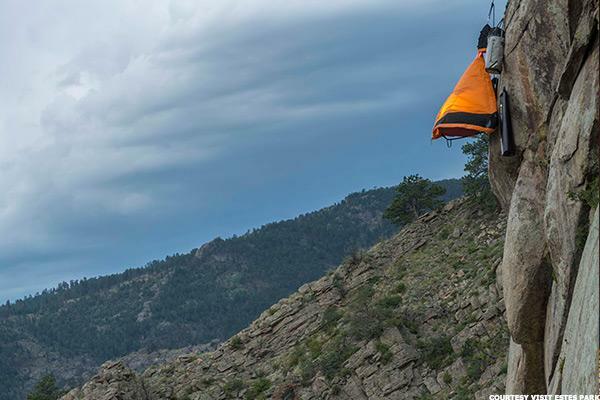 Since March, sales of climbing products has grown to be a $178.4 million industry, with camping at $1.08 billion, bags and luggage ($820.4 million), sunglasses ($239.7 million), water sports ($522.7 million), active apparel ($45.7 million), cycling ($6.2 billion), backpacks ($516.2 million) and athletic footwear ($17.3 billion), according to NPD research. In total, the U.S. outdoor industry contributes $887 billion in consumer spending and 7.6 million jobs to the U.S. economy, Get Outdoors host Outdoor Retailer said. Even J.C. Penney (JCP - Get Report) , which reported a weak first-quarter last week amid the current decline of the retail industry, saw a bright spot in athletic apparel. On a company earnings call, J.C. Penney CEO Marvin Ellison touted Adidas (ADDYY as one of the retailer's strongest brands. Adidas also helped sponsor the Get Outdoors event. 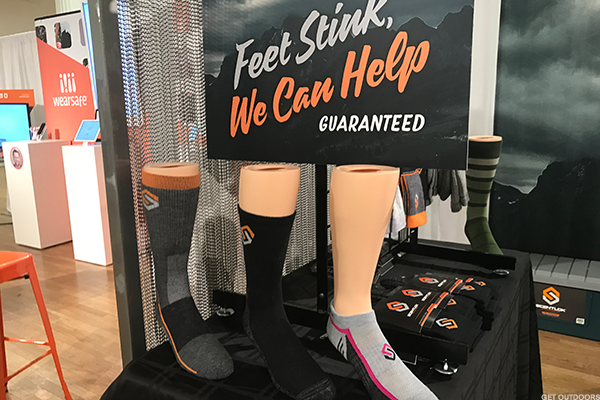 At the event, TheStreet saw it all, from hunting knives to advanced waterproof cameras to socks that keep your feet odor free. Here's some of the coolest stuff. Durable outdoors and work apparel maker Carhartt infuses technology in its clothes that regulates body moisture and air to keep the body at a perfect 97-degrees Fahrenheit. 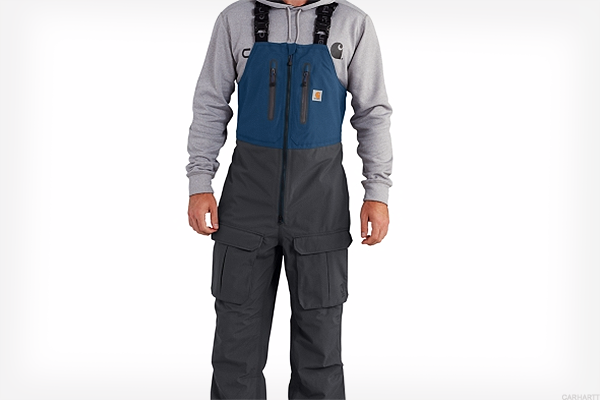 The company said its angler bib overall, priced at $199, is complete with the technology and it is working on a line of everyday clothing that will feature it, as well, including flannels and t-shirts. The new line comes to market sometime this Spring. The LifeStraw water bottle features a filter that removes carbon and harmful bacteria from any water. So, if you're hiking, simply dip this bottle into a stream and drink. The most expensive bottle is priced at $44.95. 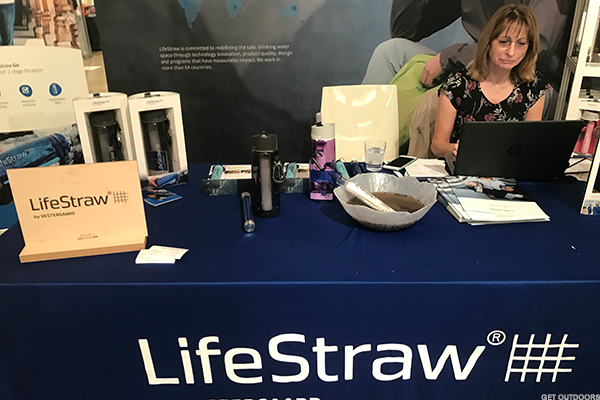 A LifeStraw spokeswoman said the company is working on a bottle that will remove lead from water. The Hover-1 by Hype takes the hoverboard to a new level. 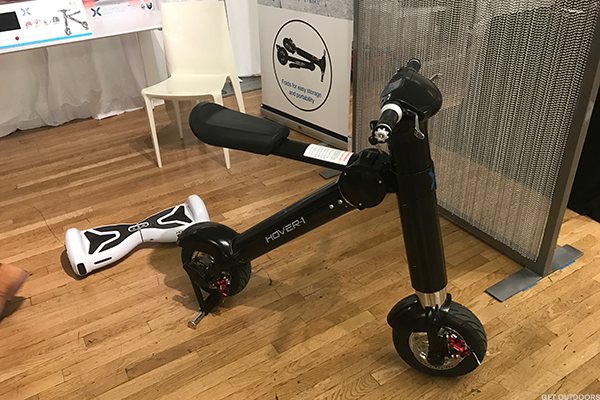 The company behind the original hoverboard, which a spokesman told TheStreet are now all certified safe, is now selling a futuristic, foldable, electric scooter for $1,000. ScentLok makes socks using Silver Alloy technology, designed to help reduce foot odor (preventing fungus from developing and leading to conditions such as athlete's foot) and keep feet fresh and shoes lasting long. The socks come in dress and active styles and are priced around $20. 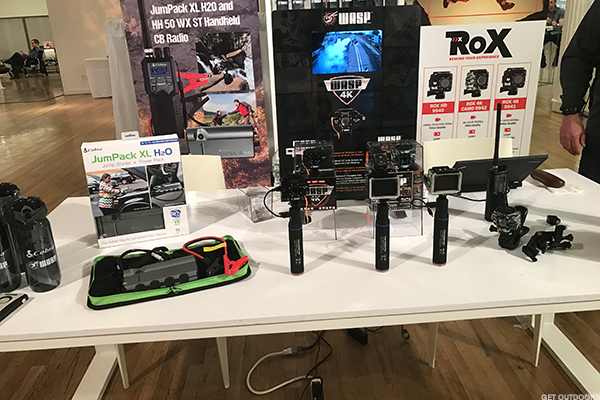 Cobra Electronics' developed its latest iteration of its JumPack, its compact jump starters starting at a price of $99, that can charge a car battery (one is even big enough to jump start an RV or dump truck) from inside the vehicle. If the battery is not completely dead, simply plug the JumPack into the cigarette lighter and let it reboot. They are also water proof, so they can be used on motor boats or other aquatic vehicles. 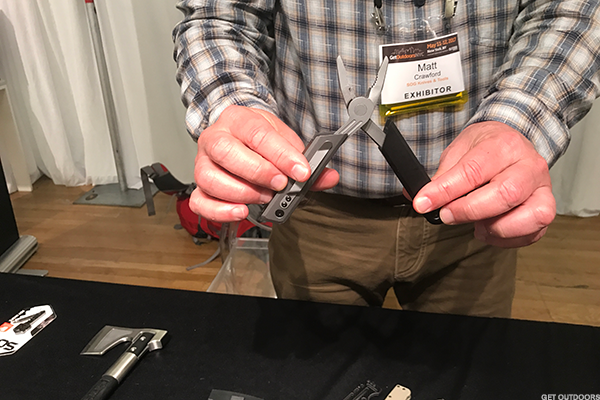 Knives and tools maker Sog developed a new, "reimagined" series of pocket knives called the Baton series, which "appeals to a different" kind of consumer, a company spokesman said. He said an office worker, probably not fashioning a tool belt, can put the new, tiny Baton multi-tool right in his or her desk, and it's complete with 10 different contraptions including a can opener and a device to fix eyeglasses. 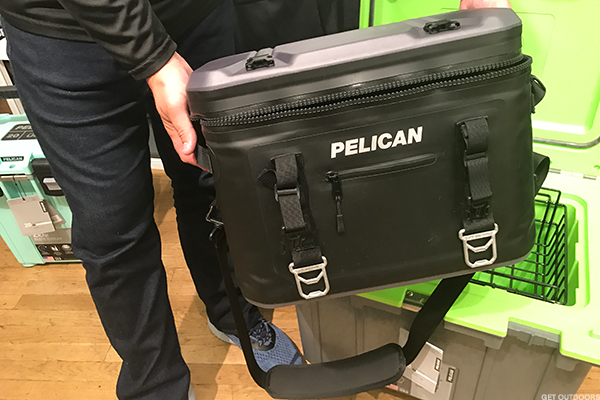 Pelican, the manufacturer of watertight equipment cases, is launching two new lightweight coolers to retailers including Home Depot (HD - Get Report) in two weeks. One, priced at $199, can fit four bottles of wine standing up, great for the token alcoholic friend we all take on hiking trips. 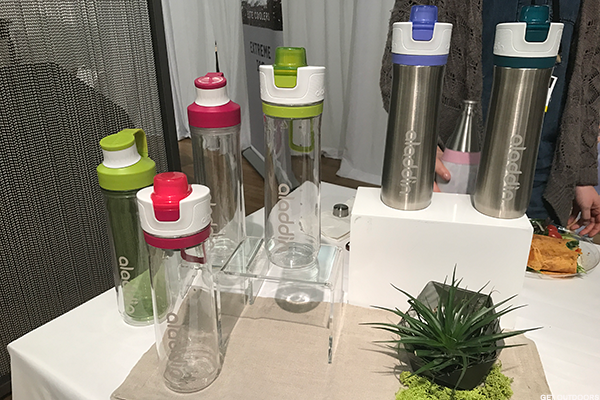 Water bottle maker Aladdin's new active line, priced at around $20, keeps 20 ounces of iced water cold for up to 40 hours, according to a company spokeswoman. 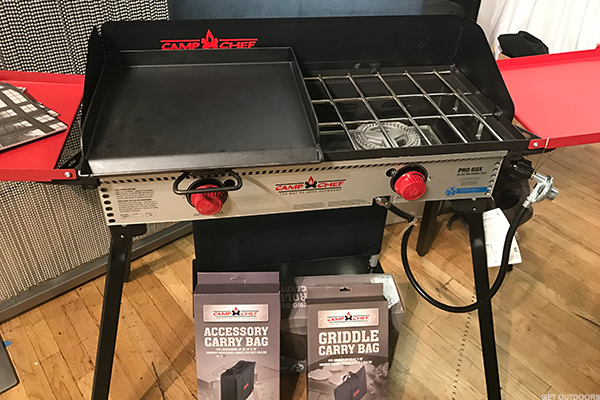 The Pro 60X by Camp Chef comes with 30,000 BTU burners that allows you to cook outdoors like you were in your own backyard. The $299.99 foldable grill even comes with built-in leg levelers for uneven terrain. 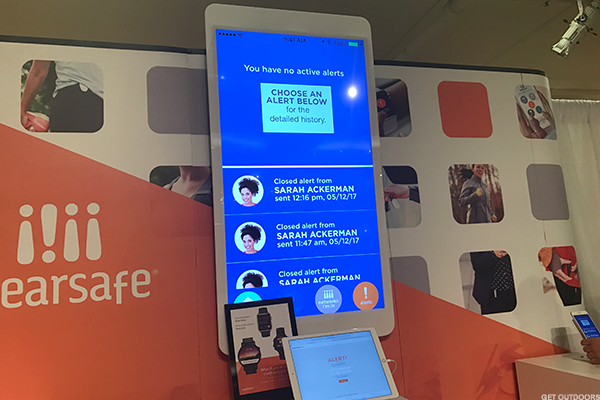 Peer-to-peer safety technology maker Wearsafe developed an app that automatically when tapped will alert all of your friends and family that you're in possible danger. It sends them audio from the scene and sets up a live chat so they know what to do next. In particularly dangerous situations, it will contact 9-11.